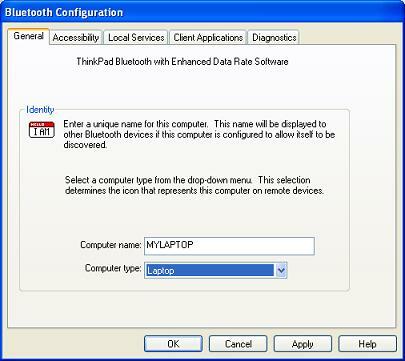 How to change the Bluetooth device name on your Windows XP system? 1. Turn on the Bluetooth radio as shown in the previous tutorial. 2. Click "Start" > "Control Panel". 3. Double click "Bluetooth Configuration". configured to allow itself to be discovered. 7. Click "OK" to save the change.